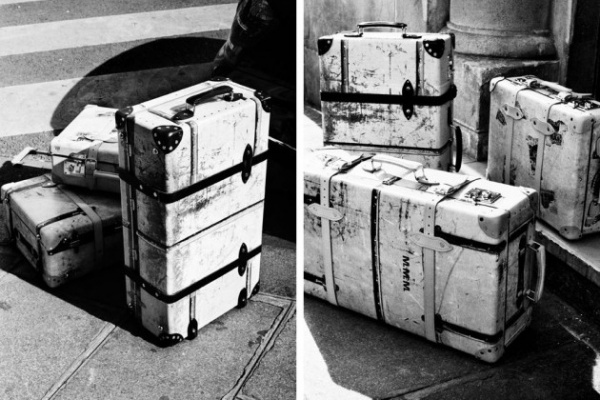 Globe Trotter & Maison Martin Margiela Produce Limited Edition Luggage Collection | Definitive Touch - Men's Contemporary Style. Aligning their rich history in craftsmanship and innovation – having made luxury luggage in the UK since 1901 – Globe-Trotter has announced their latest collaboration with the Parisian fashion house of Maison Martin Margiela. Using the famed archives of Globe-Trotter, Maison Martin Margiela selected a few classic trunk-style luggage silhouettes and has applied their signature trompe l’oeil print to the three-piece collection of large, handmade suitcases. 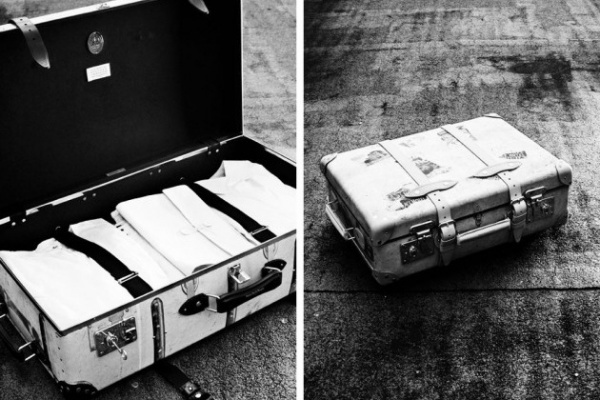 Harkening back to a time when travel was as glamorous as it was luxurious, these limited edition trunks from Globe-Trotter and Maison Martin Margiela are sure to be the crown jewel in someone’s collection. Unfortunately for most of us, these items will only be available starting this December at Margiela’s Isetan Shinjuku store in Tokyo.